I love to wrap gifts. But finding wrapping paper is sometimes hard to do. 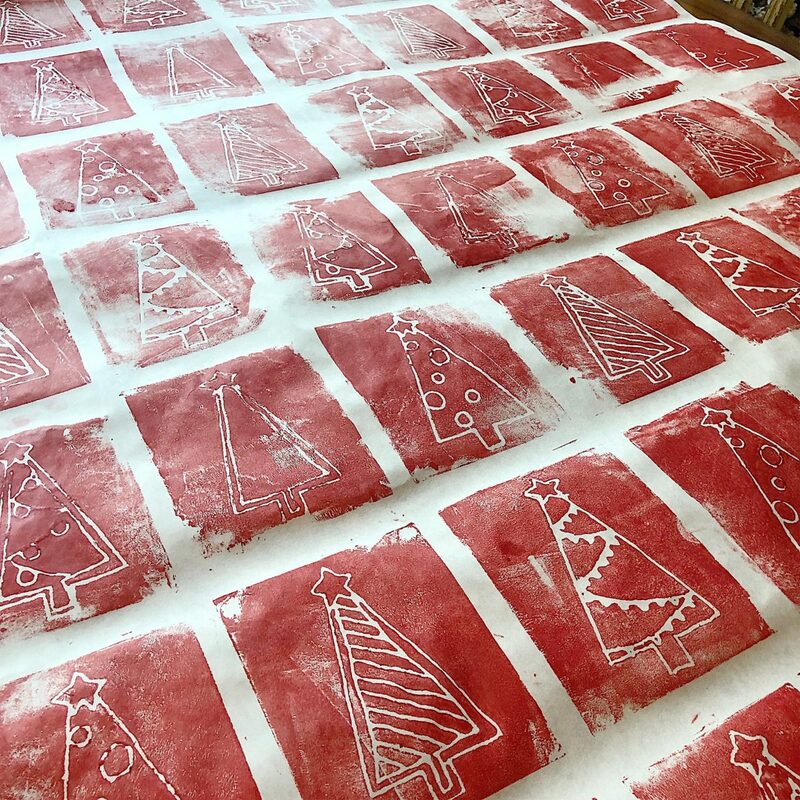 I had an idea that maybe I should make some wrapping paper this Christmas. 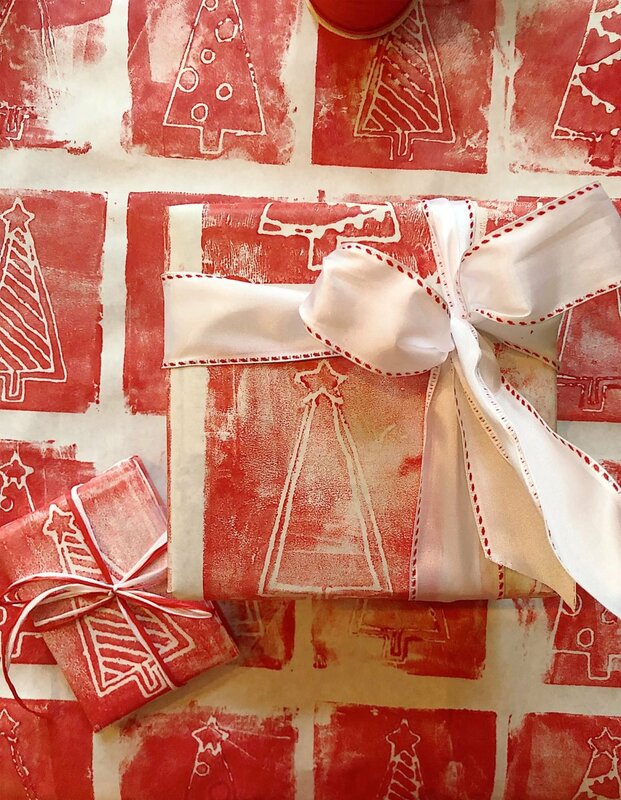 Of course, I know the wrapping paper would have to fit in my red and white theme. 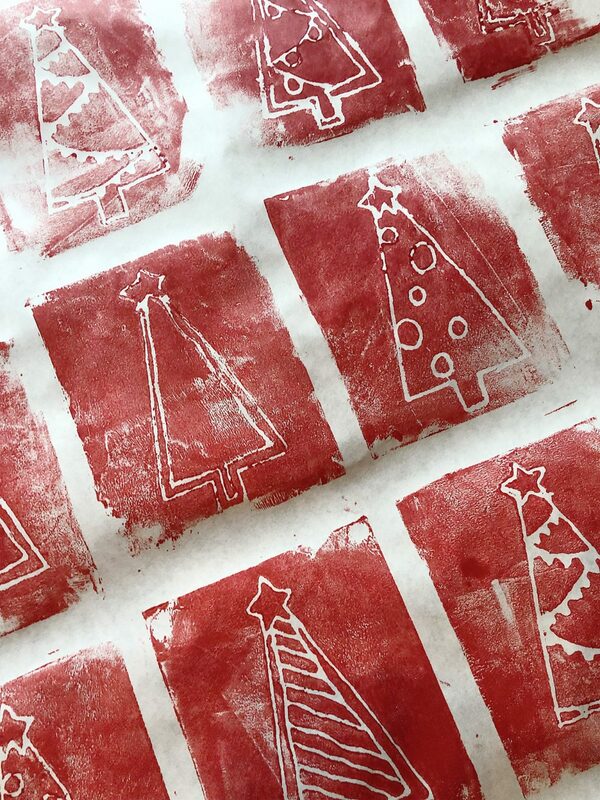 Years ago I used the styrofoam printing method to make art in my son’s elementary school classes. 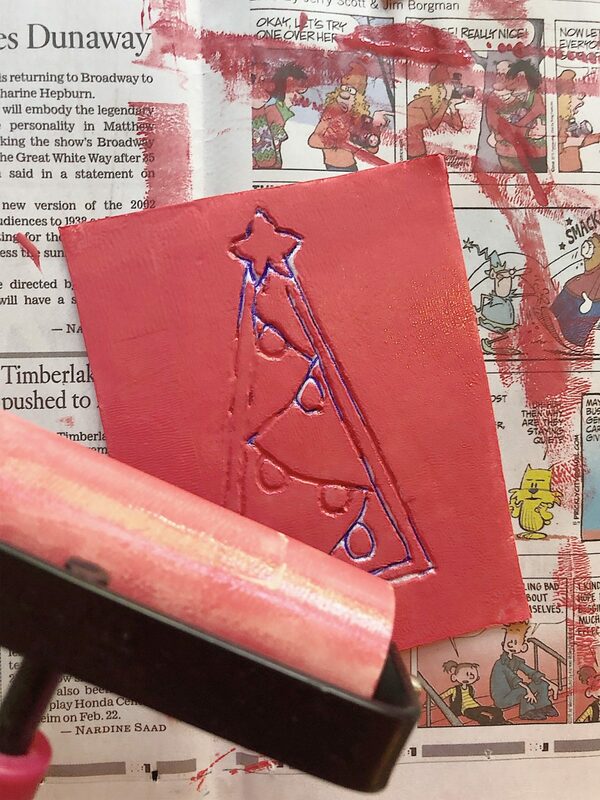 I knew someday I would find a way to use this creative printing method again. I can’t wait to see what you think. 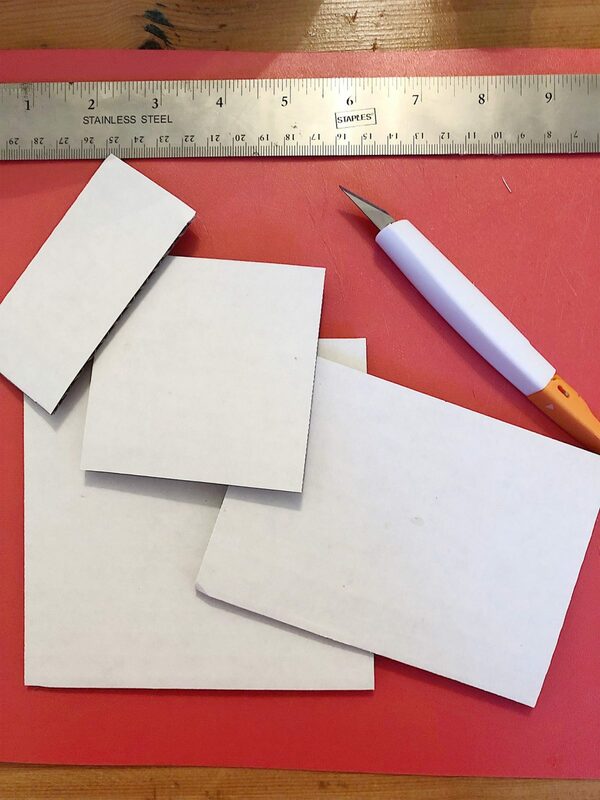 The first step is to cut a cardboard pattern for your styrofoam design. 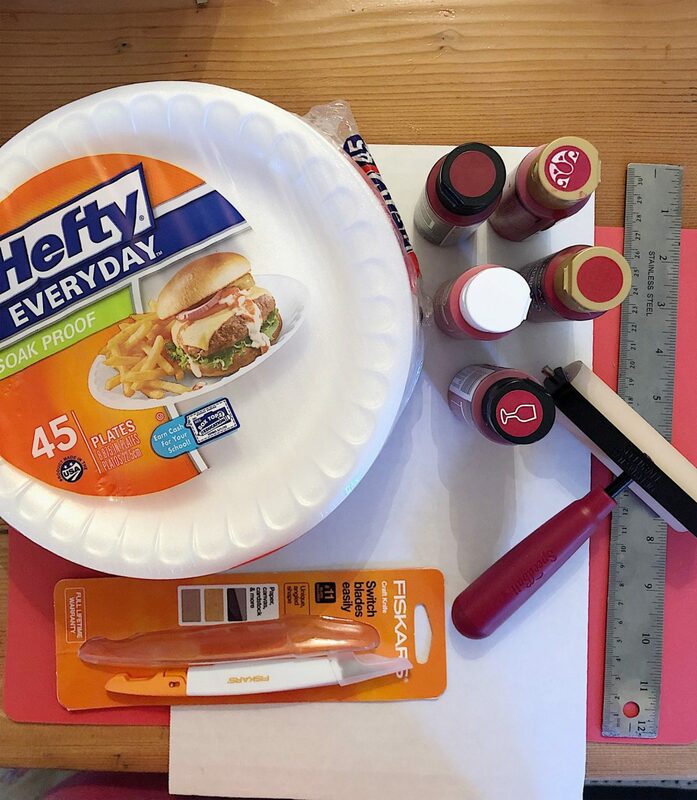 I cut a few sizes to use now and later on. 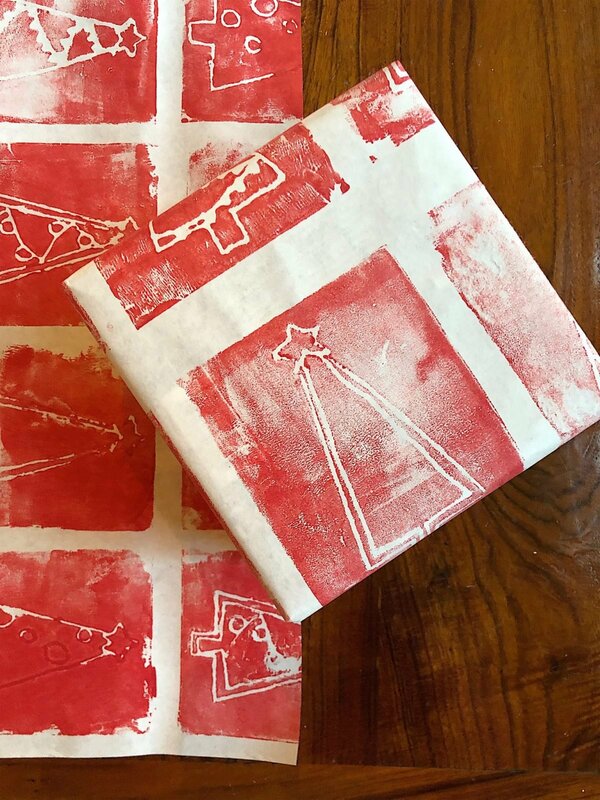 Pour some of the acrylic paint on a larger paper place and cover the brayer with paint. Roll the paint lightly on top of the stencil. 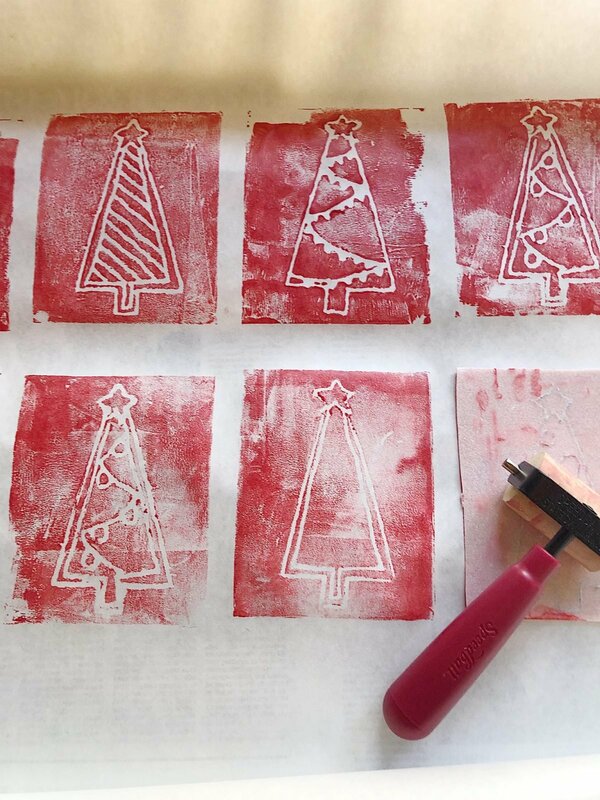 Don’t spend too much time trying to make the stenciling perfect. I love this method because it looks vintage so it looks better if it’s not perfect. 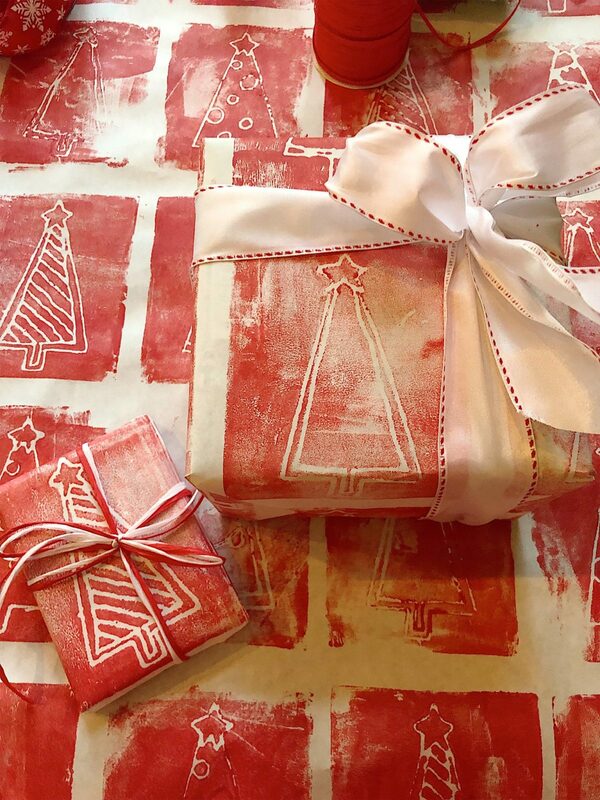 Once the paper is dry, you can begin to wrap your presents. JOANN has a lot of great ribbons on sale and I love how my packages turned out. Imagine how cute this would look if your children drew their own designs on the styrofoam. 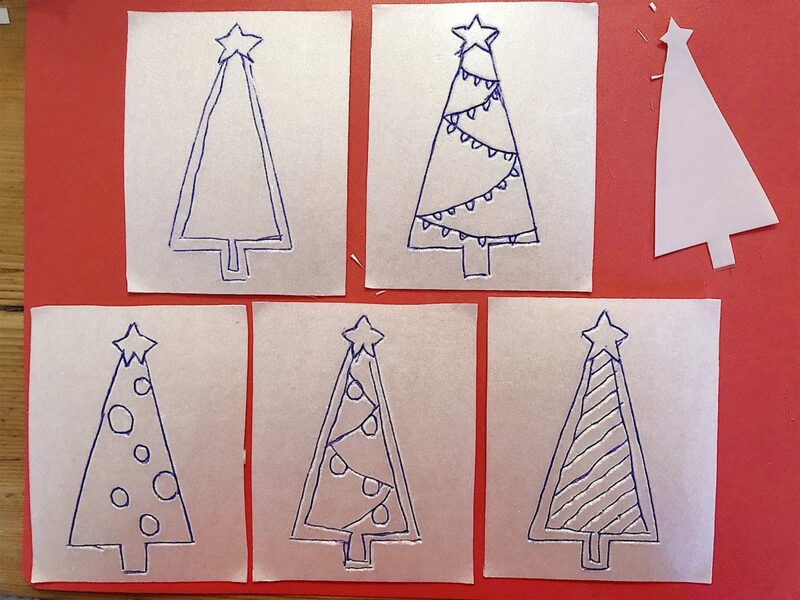 They could draw Santas, wreaths, snowmen, candy canes or Christmas trees! I hope you enjoyed this DIY. That is just adorable! Thanks for the tutorial. 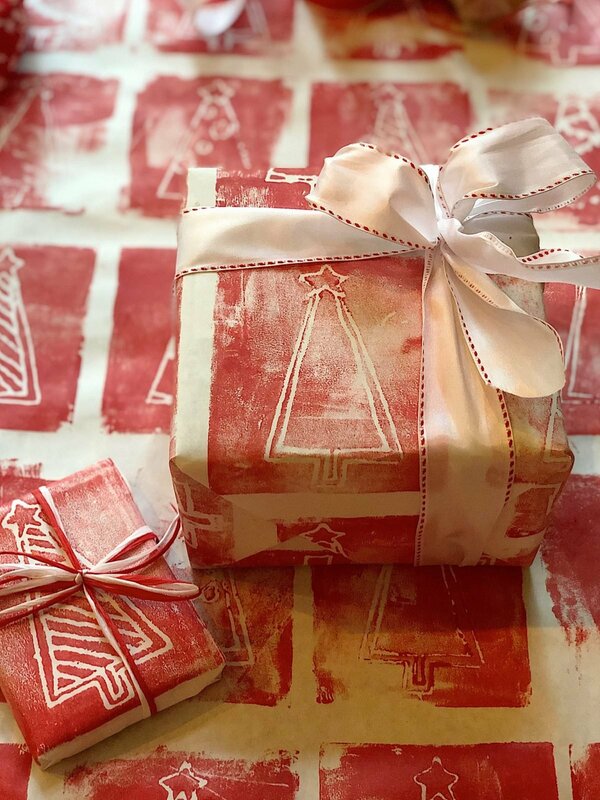 The paper is really unique and would be good to use for special personal gifts, wonderful. Thanks for sharing your project. You are incredible! 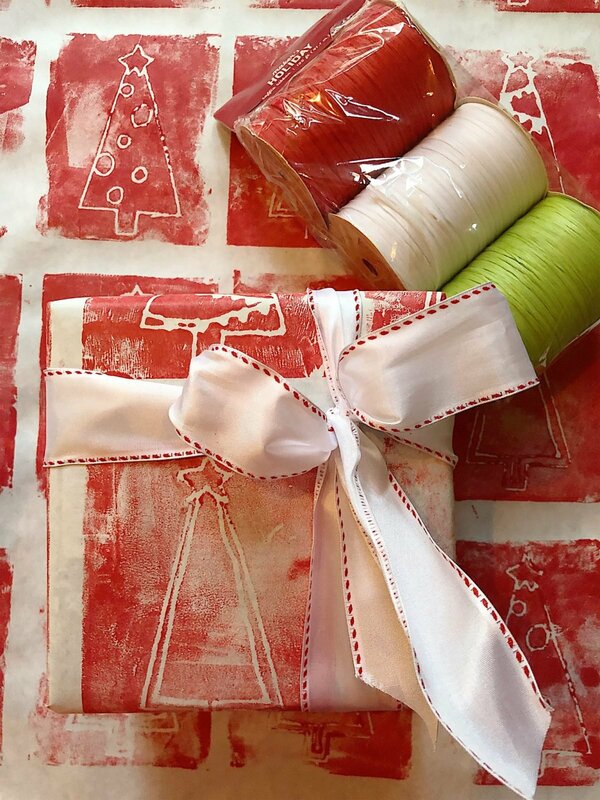 I would’ve never thought to make my own wrapping paper. Thanks for teaching me how to.